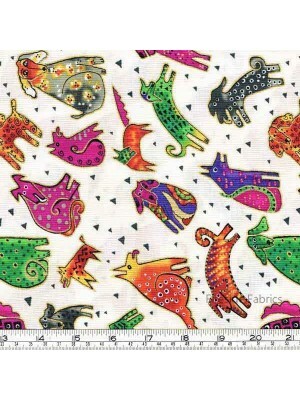 Embracing Horses by Laurel Burch All over horse design in brick embellished with metallic gold 100% cotton If ordering a quarter metre only it will.. 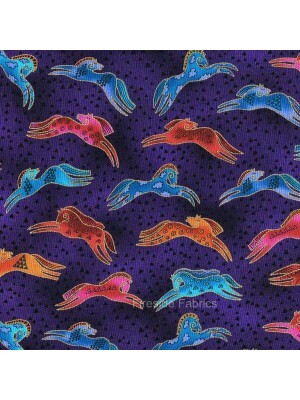 Embracing Horses by Laurel Burch Leaping horses on a purple background embellished with metallic gold 100% cotton If ordering a quarter metre only i.. 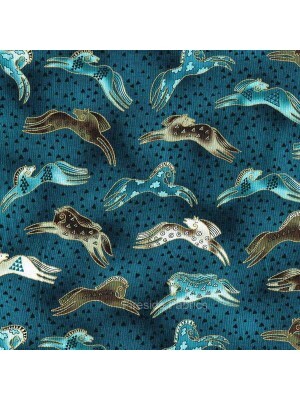 Embracing Horses by Laurel Burch Leaping horses embellished with metallic gold on a teal background 100% cotton If ordering a quarter metre only it .. 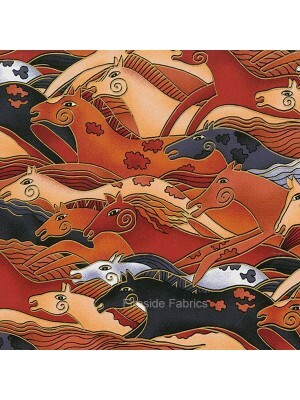 Embracing Horses by Laurel Burch Crowd of horses in brick embellished with metallic gold 100% cotton If ordering a quarter metre only it will .. 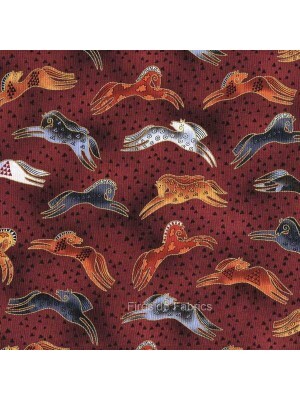 Embracing Horses by Laurel Burch Leaping horses on a brick background embellished with metallic gold 100% cotton If ordering a quarter metre only it.. 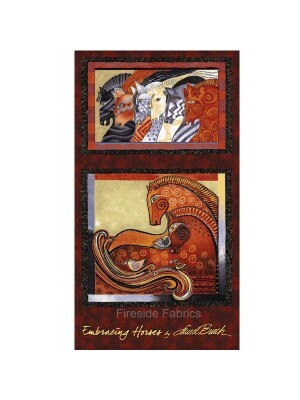 Embracing Horses Panel by Laurel Burch The panel is of fun horses in brick embellished with metallic gold The panel measures approx 4.. 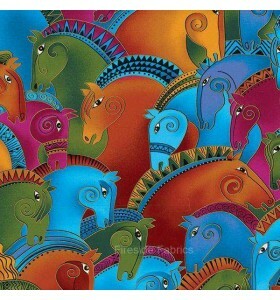 Embracing Horses by Laurel Burch All over design or horses in turquoise, brick, purple, and pink embellished with metallic gold 100% cotton .. 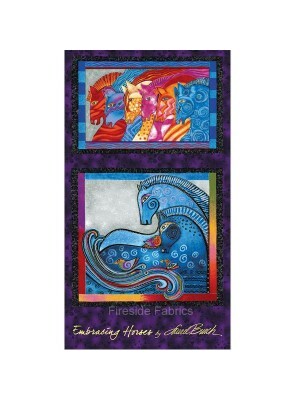 Embracing Horses Panel by Laurel Burch The panel is of fun horses in purple, pink, turquoise, brick embellished with metallic gold The pa.. 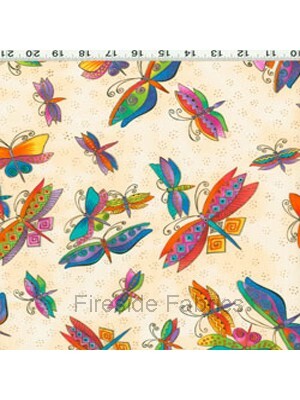 Bright coloured dragonflies on a cream background embellished with metallic gold 100% cotton If ordering a quarter metre only it will be sent to you.. 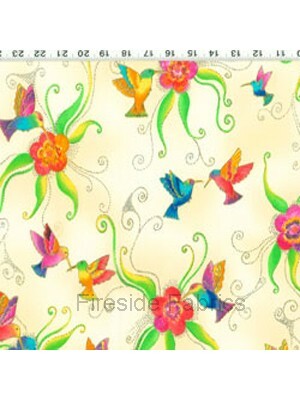 Bright coloured birds on a cream background, embellished with metallic gold 100% cotton If ordering a quarter metre only it will be sent to you as a.. 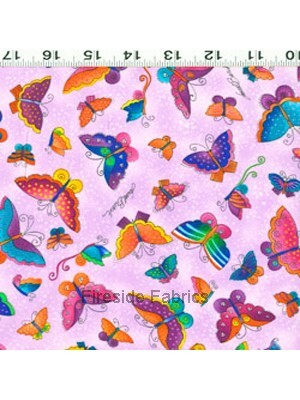 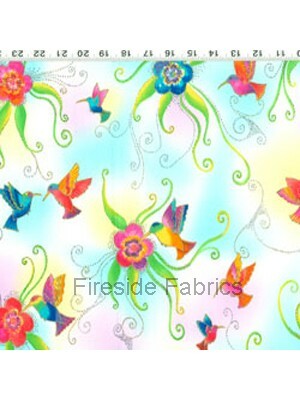 Bright coloured birds on a aqua blue background, embellished with metallic gold 100% cotton If ordering a quarter metre only it will be sent to you ..
Butterflies on a purple background, embellishe with metallic gold 100% cotton If ordering a quarter metre only it will be sent to you as a fat quart.. 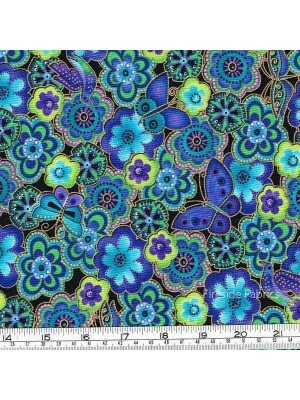 Dogs & Doggies by Laurel Burch Bright coloured flowers with birds and butterflies on a black background, embellished with metallic gold Ideal for.. 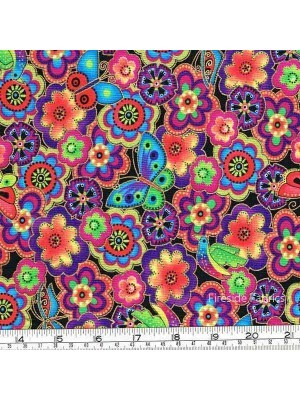 Dogs & Doggies by Laurel Burch Bright coloured flowers in orange with birds and butterflies on a black background, embellished with metallic gold .. 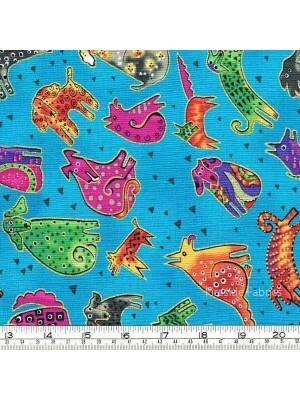 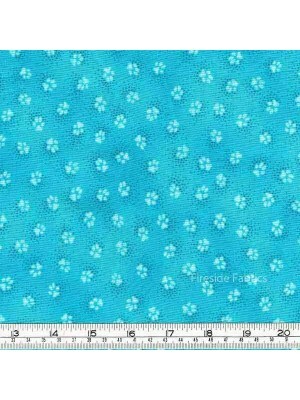 Dogs & Doggies by Laurel Burch All over paw prints aqua on aqua Ideal for quilts, wall-hangings, bags, accessories for the home, cushions, light.. 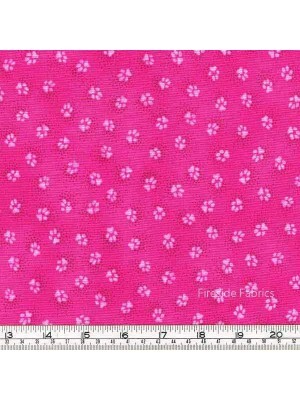 Dogs & Doggies by Laurel Burch All over paw prints pink on pink Ideal for quilts, wall-hangings, bags, accessories for the home, cushions, light.. 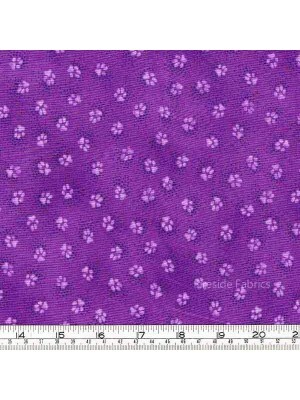 Dogs & Doggies by Laurel Burch All over paw prints purple on purple Ideal for quilts, wall-hangings, bags, accessories for the home, cushions, l.. 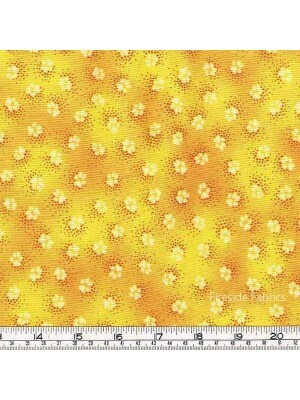 Dogs & Doggies by Laurel Burch All over design of paw prints yellow on yellow Ideal for quilts, wall-hangings, bags, accessories for the home, cu.. 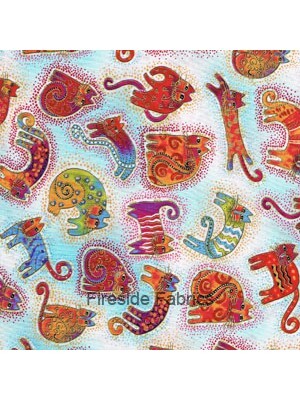 Dogs & Doggies by Laurel Burch Bright multi coloured dogs scattered on a aqua blue background embellished with metallic gold Ideal for quilts, wa.. 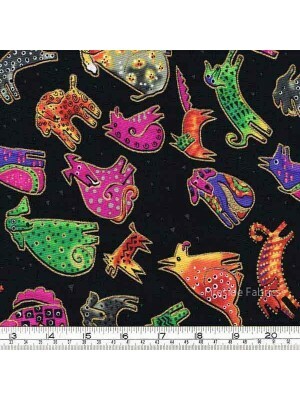 Dogs & Doggies by Laurel Burch Bright multi coloured dogs on a black background embellished with metallic gold Ideal for quilts, wall-hangings, b.. 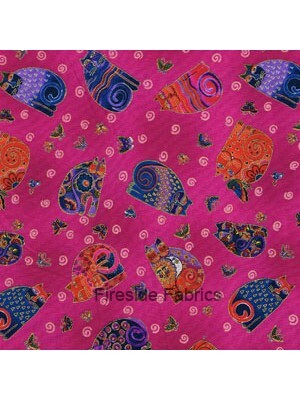 Ideal for quilts, wall-hangings, bags, accessories for the home, cushions, light weight curtains, dressmaking, Patchwork & Quilting fabric 100% ..